SHADO Gun Leather sells the best handmade leather holsters, made right here in America. From law enforcement to the common gunslinger, these holsters have a 50 year tradition to live up to. StrobesUSA came to us to update, repair and upgrade their Zen Cart E-commerce site. 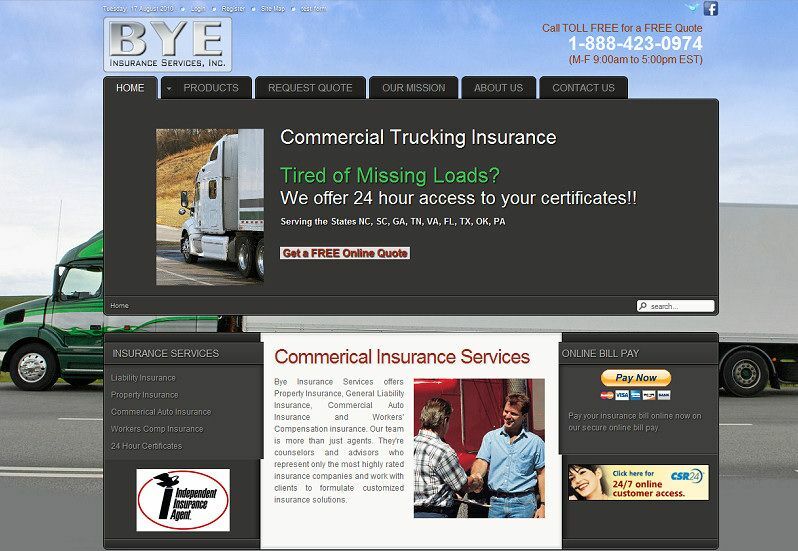 With a new template, SEO and images, their site went from yawn to wow! CMS website, advanced plugins for Editor, SEO, SEF, Download Manager. he DILI-sim Initiative is a pre-competitive partnership between The Hamner and a diverse set of stakeholders to develop a computational model that will predict whether new drug candidates will cause drug-induced liver injury (DILI) in patients. Private Site - The Bedford Group needed a secure, member only site to display important information for their clients. Simple and elegant, this site has powerful security and document management, as well as some effects to give it a modern look and feel. Being they were in a time crunch to get it done, we built it in less than 24 hours! 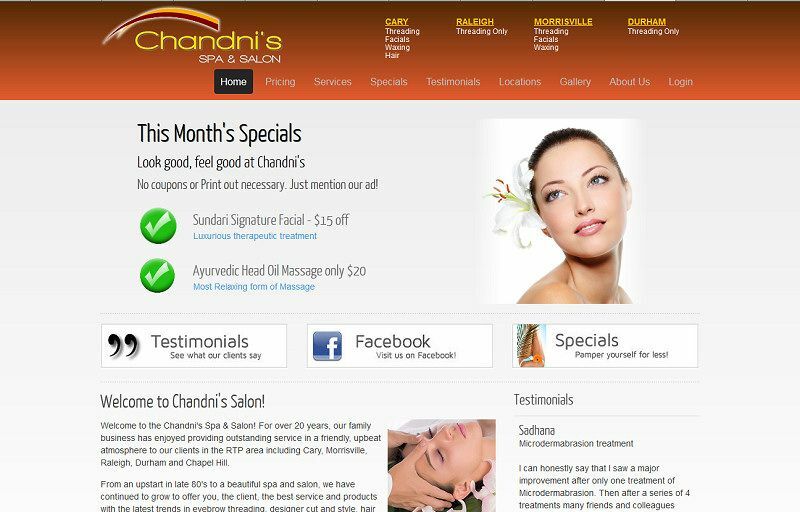 Chandni's is an Indian Spa and Salon in the Raleigh Triangle area. 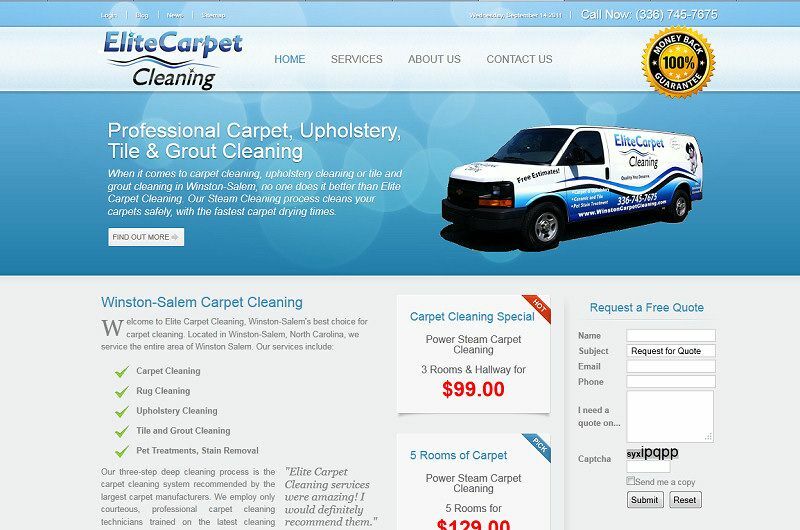 Their website needed to portray their true image, so we made it beautiful in design and programming. 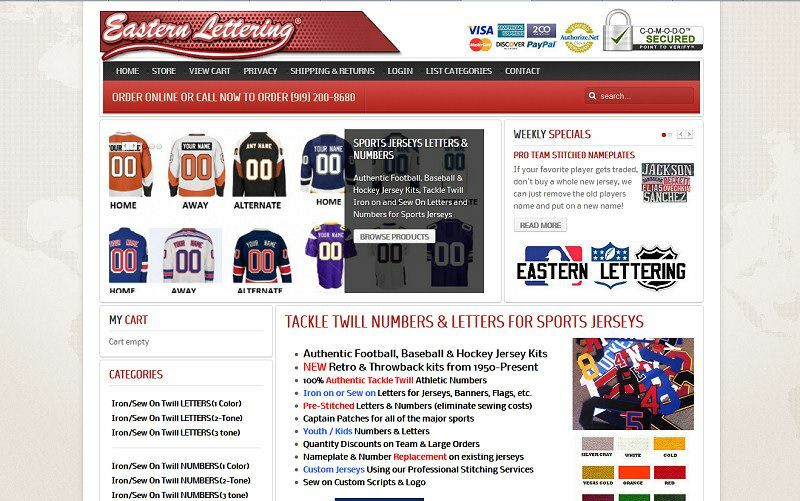 Eastern Lettering carries numbers and letters, Iron on, Sew on numbers & lettering, Pro Authentic Tackle Twill for baseball, hockey, football and basketball sports jerseys. Their website is a pre-built Zen Cart e-commerce that had some SEO issues, so we created customized programming for advanced SEO and continue to build backlinks and other top secret SEO methods. 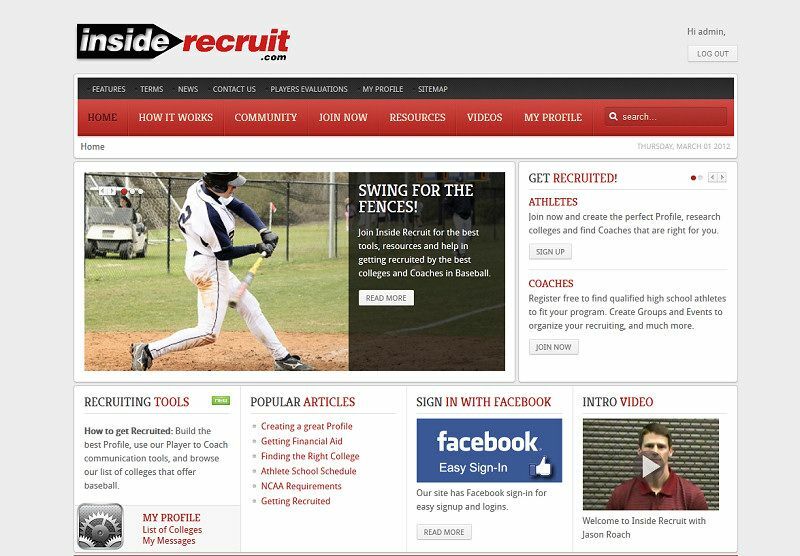 Inside Recruit is for serious players looking to continue on to the college and professional ranks. Our website is an advanced Networking system designed to help you create an outstanding online profile, find the right college for you and network with Coaches with our easy-to-use Member tools.